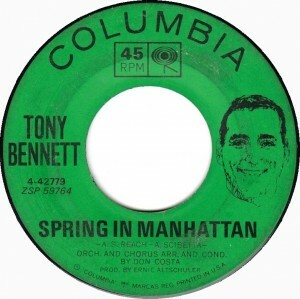 “Spring in Manhattan” was recorded on April 8, 1963 and was released as a single that same year. It was also on the album The Many Moods of Tony. It was arranged by Don Costa and featured the Will Bronson Singers.